A guide to textbooks inside and outside the library. The STLCC Libraries receive many inquiries about textbooks before and during the semesters. The Libraries are NOT the primary source of textbooks for your courses. We do have a limited number of textbooks that faculty place on 2-hour reserve. 2-hour reserve means these texts may be used in the library only for two hours. They may be renewed for another two hours provided no one else is waiting to use them. At best, this works as a way to get through the first week or so of class while waiting for your textbook to arrive. Show you how to find what textbook is needed for your course. Show you how to use the STLCC Libraries' catalog and the MOBIUS catalog to check other libraries for your book. Point you to sources for purchasing or renting texbooks. What Textbook Do I Need? 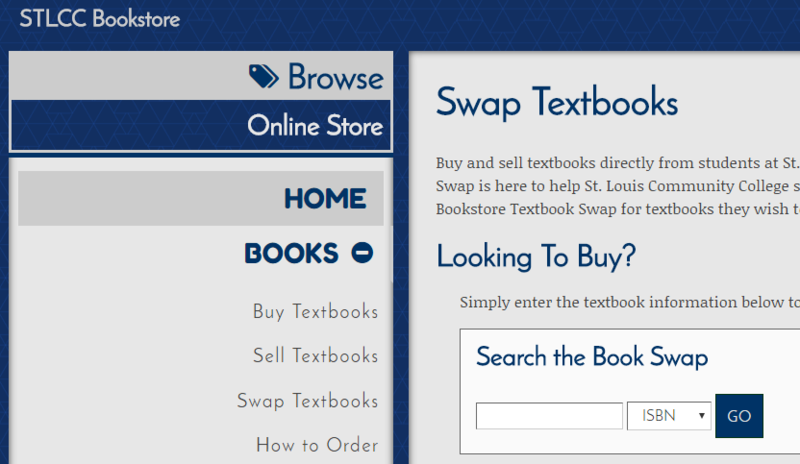 You can search the STLCC bookstores online to find the textbooks you need for the courses you're taking. You can order them for pick up from the bookstore, or you can have them shipped directly to you. You should note the ISBN number of the book the course calls for -- it's a number unique to a certain edition of the book. The edition of the textbook is very important, and there may be many editions of the same book. Here's the ISBN number in the STLCC bookstores search. The campus bookstores have Textbook Swap services on their website. 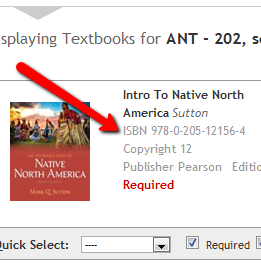 Click on Swap Textbooks under the Books menu to access it.